The Blurb: Gossamer travellers that visit our sky from time to time, these flying balls of ice and dust have shaped the course of life on Earth. In a special sense, we are the children of the comets. David Levy brings these ‘ghostly apparitions’ to life. 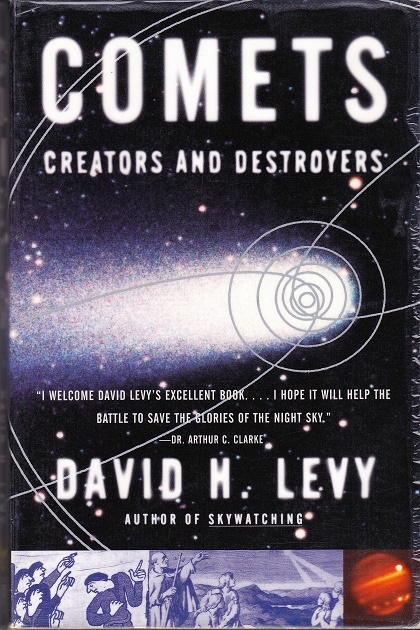 With fascinating scenarios both real and imaged, he shows how comets have wreaked their special havoc on Earth and other planets. Beginning with ground zero as comets take form, we track the paths their icy, rocky masses take around our universe and investigate the enormous potential that future comets have to directly affect the way we live on this planet and what we might find as we travel to other planets.